Social Media Marketing is not any more choice to opt for your business, It is must for every business. If you are business in not listed on social media platforms you are loosing that your competitor gaining. We all know that there is rapid growth of increase in social media and it is a good platform to express, share interest relevant to our niche and at present developing world most of us are connected to our device compare to before. A websites like Facebook, Twitter, LinkedIn, Google Plus, You Tube and Pinterest its a good source of making brand awareness and increase visibility, traffic to the website. Green Bird IT PVT Ltd (Greenbirdit) provides social media marketing services to clients who are from Hyderabad and located in different countries, worldwide. Our SMM techniques make your website reach and improve in brand awareness and increase in sales. Who should opt this service, those who care about their brand, social reputation, online marketing business. In Social Media Marketing there are plenty of techniques which are cost effective and have good ROI compared to traditional marketing. In social media to acquire brand awareness, generate traffic and convert user to a customer, you have to be with definite strategy or goal. 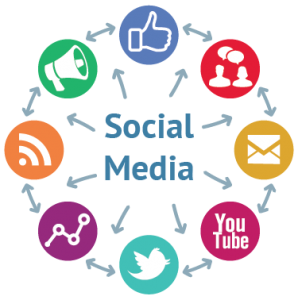 We are Hyderabad based Best Social Media Marketing Company had a good experience team of Social Media Marketing who can full fill your web related requirements. Do you generate traffic from Facebook? Or Looking for help in doing? Our Web Design Company Hyderabad help’s in creating optimize your Facebook advertisements. Based on your business requirements, we plan a strategy according to your need and deliver and increase traffic to your website. Social media takes a prominent position in online marketing driving traffic and increasing brand reputation to the website. It is best when you implement both the strategy frequently. To engage a user you have to frequently update your blog with fresh content with valuable information and its great way to drive traffic, increase reputation using social media. Looking to increase traffic to your website you can contact our experts and request a quote for free. Use of backlinks, inbound links and hyperlinks of targeted keywords and key phrases. Link your main website to the social networking site and intended section. Create Social Media Pages and Update constantly with relevant niche for gaining traffic. Sharing videos and photos on YouTube and Flickr. Established Business – We are Hyderabad Web Design Company having worked in social media marketing. Great Reputation – We have helped many successful business online. 100% Hyderabad – We are Hyderabad owned and our SMM Professionals are based here. Affordable – We are low in cost and high in delivering effective SMM results. Great Support – Our specialized friendly team, always available to assist you.